The customer adds the product in the shopping cart and Proceeds to checkout. In the Shipping area the customer needs to enter a valid email address that will be used for order confirmation. Also, the customer needs to provide a delivery address. The mandatory filed are marked with an asterisk sign. 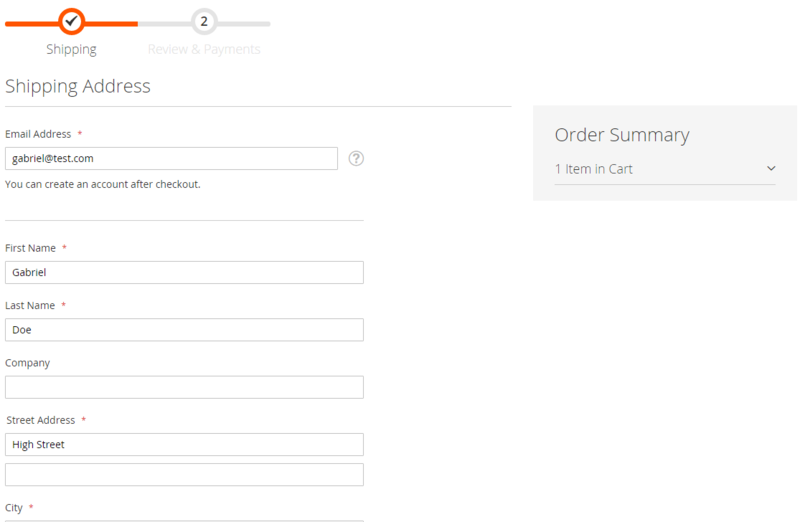 The customer can create an account after the checkout. After choosing a delivery address, the customer has to select a shipping method. 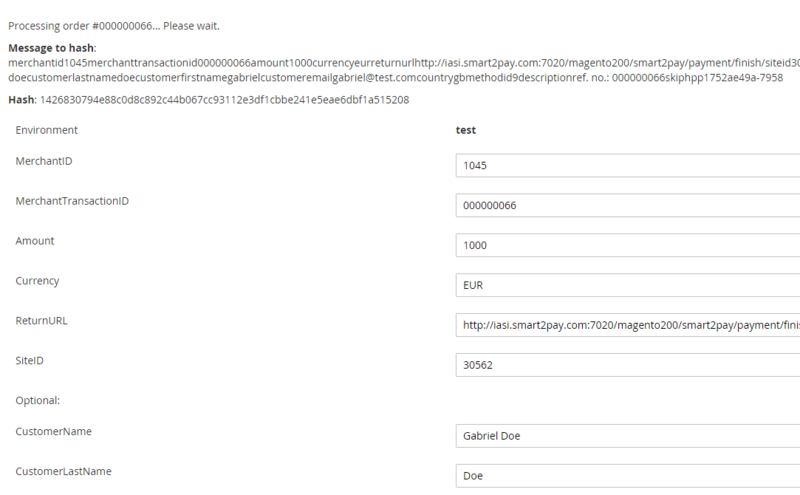 Depending on the billing country of the customer, the activated methods are shown in the checkout process in the Payment step, Smart2Pay Methods section. After choosing the payment method, the customer can click Place the Order button. After selecting the preferred payment method the customer needs to confirm the order by clicking on the Submit button. 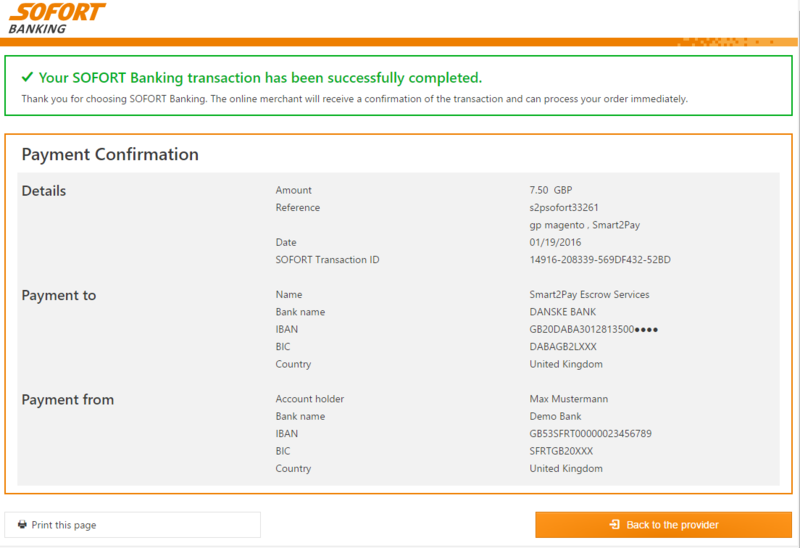 After order confirmation the customer is redirected to the chosen payment method provider where he enters the necessary details of the payment. The customer is redirected to the provider’s confirmation page. All the payment details are provided here and the customer has the posibility to print them. 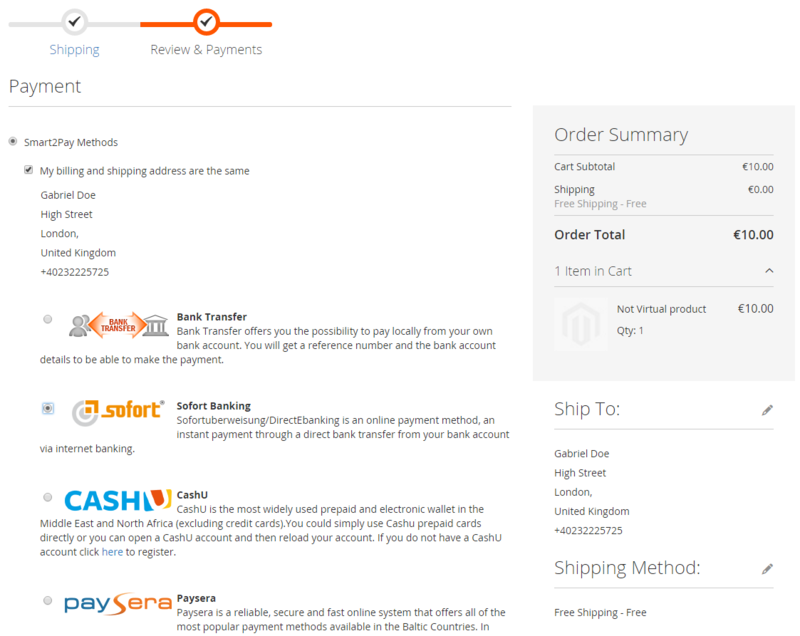 Upon completion of the payment flow, the customer is redirected back to your website.